Thirty-five year old Deanne Hastings was finally putting her life back together. After a long battle with bi-polar, a divorce and time spent in an in-patient treatment facility she was back on the rise. She was in love, enrolled in school, looking forward to the future and excited to establish stronger relationships with her children. Living with her fiance, Mike Tibbets, in Spokane, Washington, life just seemed to be back on the right track. However, on the night of November 3rd, 2015, ... See More Mike returned home to an empty house. He found a note from Deanne explaining that she'd be running to the store and she'd be back soon. She didn't return and as hours passed, Mike began trying to track her down. Deanne's car was found in a parking lot, locked up. He purse and cell phone were inside, though her license and credit cards were not. Over the course of the next thirty-six hours, Mike will stake out the car, print up fliers, try to track his fiancee down and run into multiple people who believe they'd seen her. When all else fails, Mike files a report with the Spokane Police Department and the search begins. 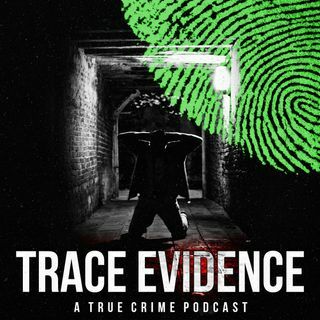 The investigation raises many questions about Deanne's mental state at the time of her disappearance, but also the people she was known to have spent her last known hours with, including two men who tell a bizarre story about where they last saw Deanne, and how they came into possession of her credit cards and license. Join host Steven Pacheco as he examines this heartbreaking story. *****This episode brought to you by Cove. Visit WithCove.com/Trace to get your first month for free.